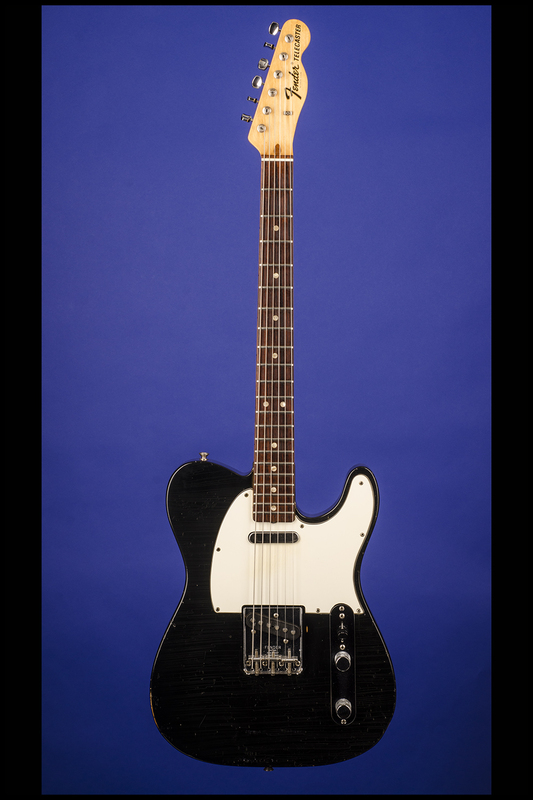 Telecaster Guitars | Fretted Americana Inc. 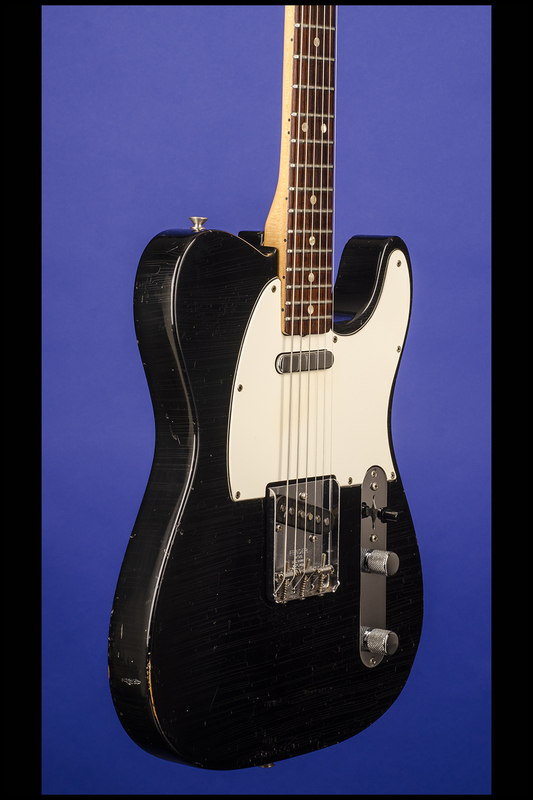 This lightweight 'custom color' late sixties Black Telecaster weighs just 7.10 lbs. 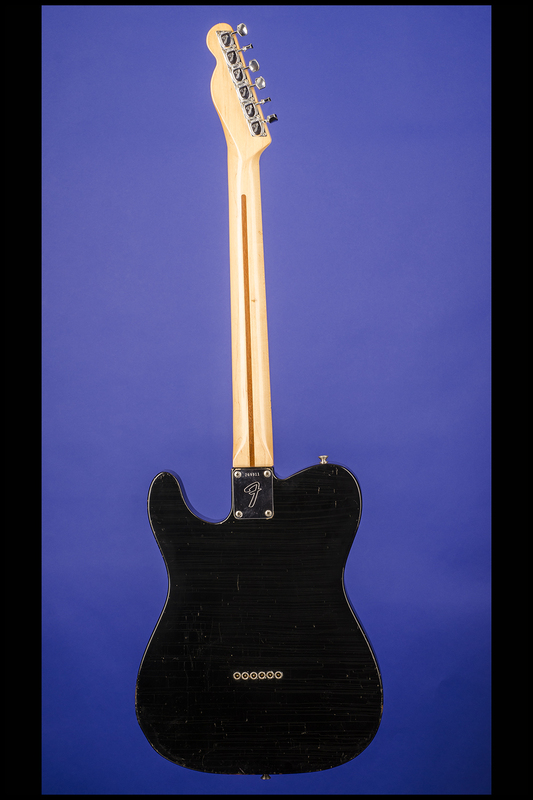 Solid alder body, one-piece maple neck with a nut width of just under 1 5/8 inches, a scale length of 25 1/2 inches and a wonderful medium to thick profile. Veneer rosewood fretboard with twenty-one original jumbo frets and inlaid pearloid dot position markers. 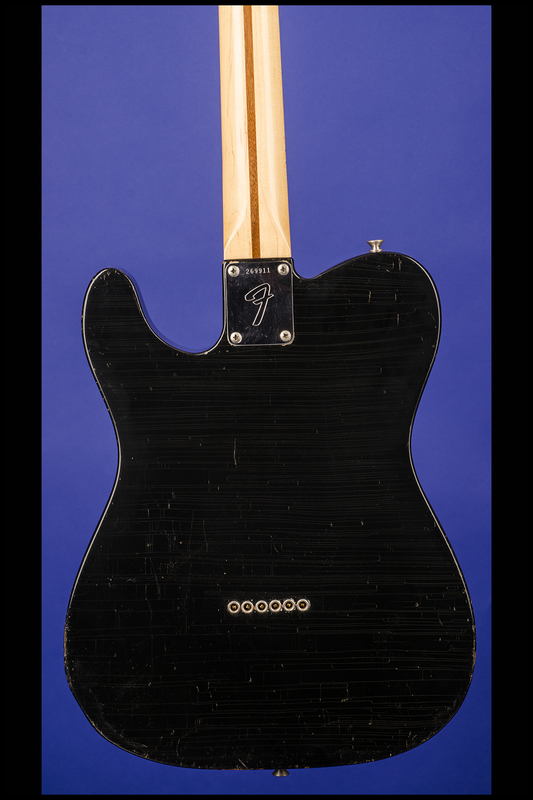 Headstock decal with "Fender" logo in black with gold trim, "Telecaster" in black beside it, and two numbers (Pat. 2,573,254 3,143,028) beneath "Fender." Individual Fender "F" tuners with octagonal metal buttons. Single "butterfly" string tree. 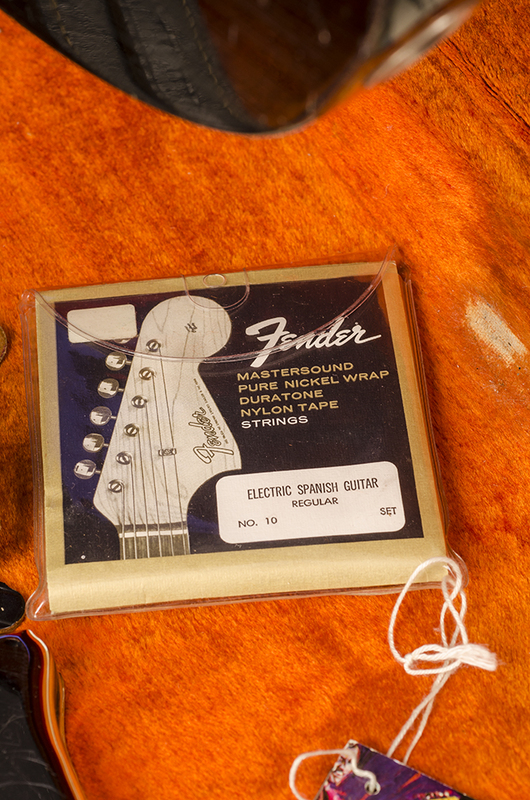 Four-bolt neck plate with large Fender "F" logo and serial number "269911" between the top two screws. The end of the neck is stamped in black "3 AUG 69B". 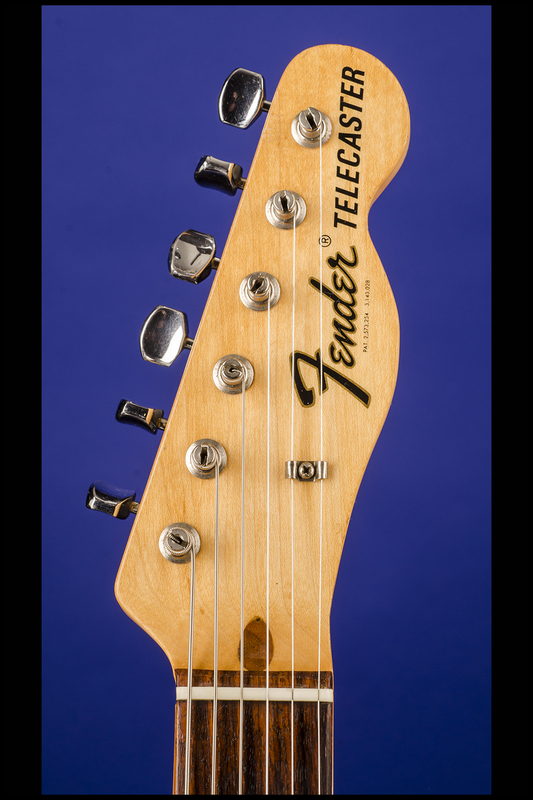 One plain metal-cover pickup (at neck) and one light gray-bottom six-polepiece pickup (angled in bridgeplate) with nicely balanced outputs of 5.99k & 6.00k respectively. 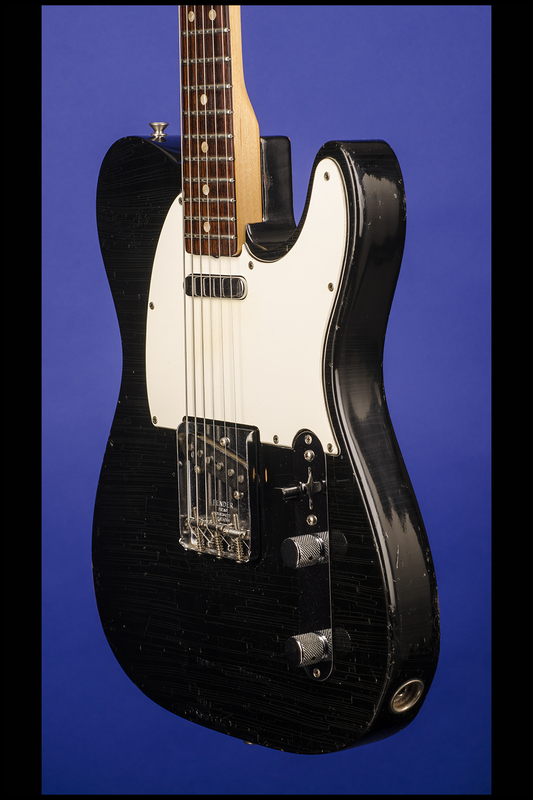 Three-layer white/black/white (over pearloid 'mother -of-toilet-seat') plastic pickguard with eight screws. 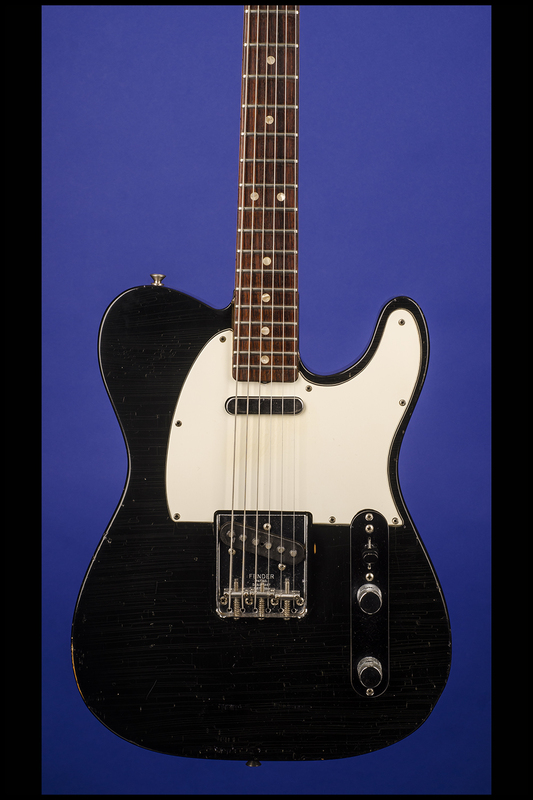 Two controls (one volume, one tone) and one three-way selector switch (with black plastic "Top-Hat" tip), all on metal plate adjoining pickguard. Chrome knobs with flat tops and knurled sides. 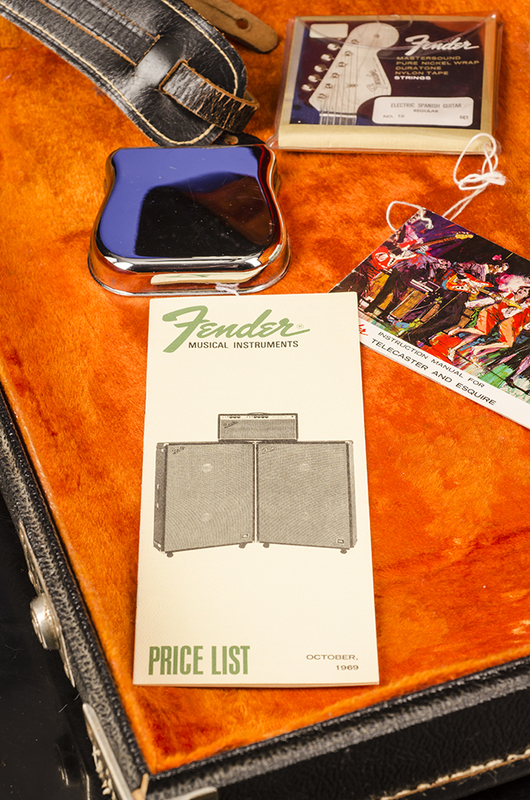 The potentiometers are dated "137 6634" and "137 6636" (CTS August & September 1966). 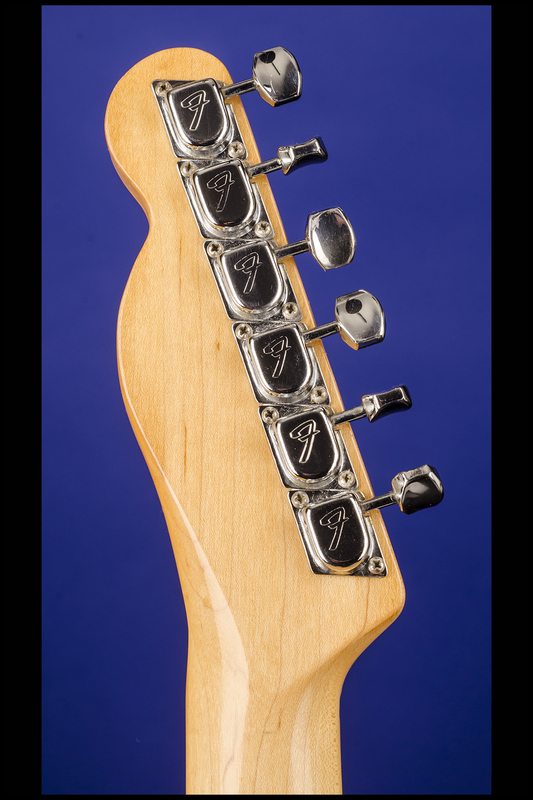 Fender combined bridge/tailpiece with three grooved' steel saddles. 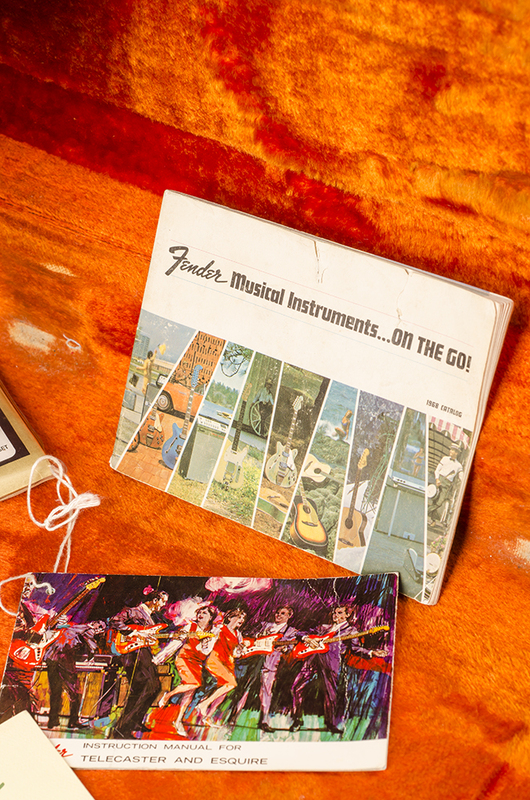 The original jumbo frets show very little playing wear. 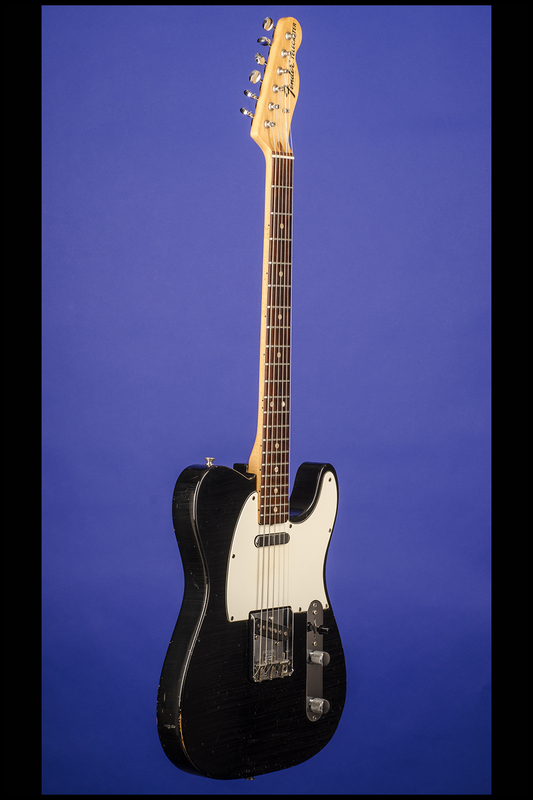 Overall this fifty year old guitar is in exceptionally fine (9.00) condition with some fine finish checking and a few very small surface chips on the edges of the body. 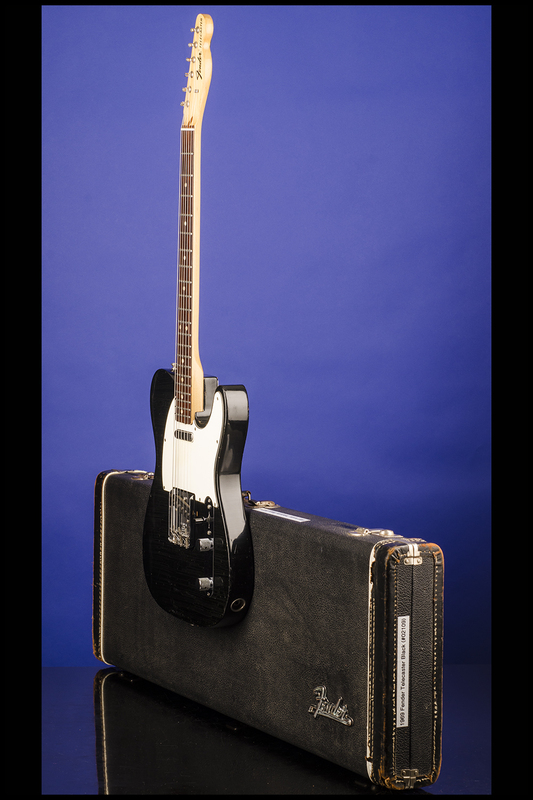 Complete with the original bridge-cover "Ashtray", the original hang-tag with matching serial number, the original black leather guitar strap, the original 1968 Fender catalog, the original October 1969 twelve page Fender price list, and even an original set of Fender Masterwound guitar strings in their original plastic envelope. 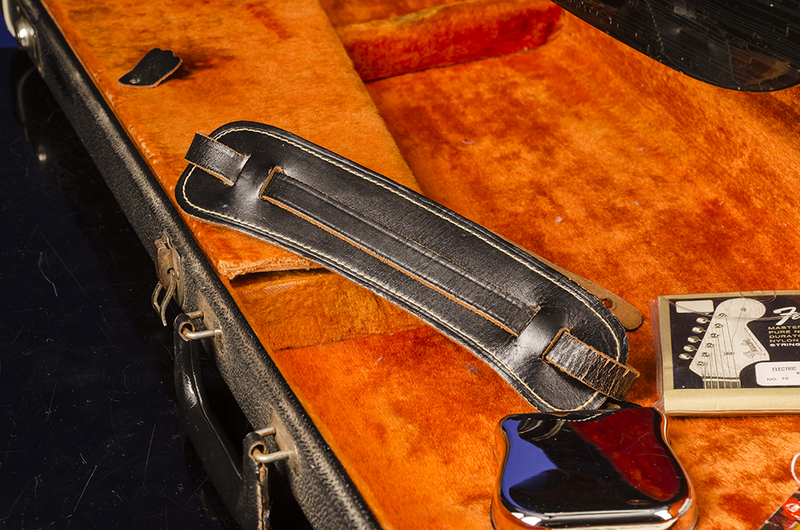 Housed in its original Fender three-latch, rectangular black hardshell case with dark orange plush lining and black leather ends (8.75). 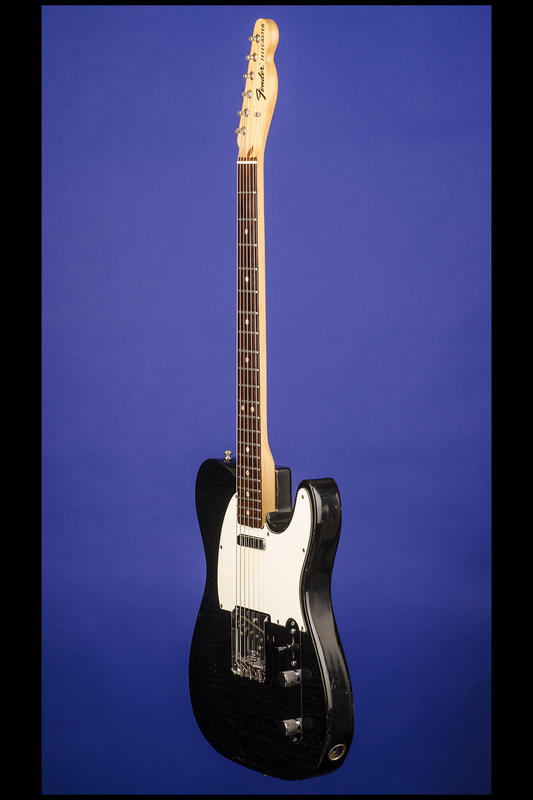 "Thin fretwire remained a standard feature on Fender guitars for almost 3 decades, although some instruments were first produced with jumbo fretwire in the mid-60s right after the CBS take-over." (A.R. Duchossoir. 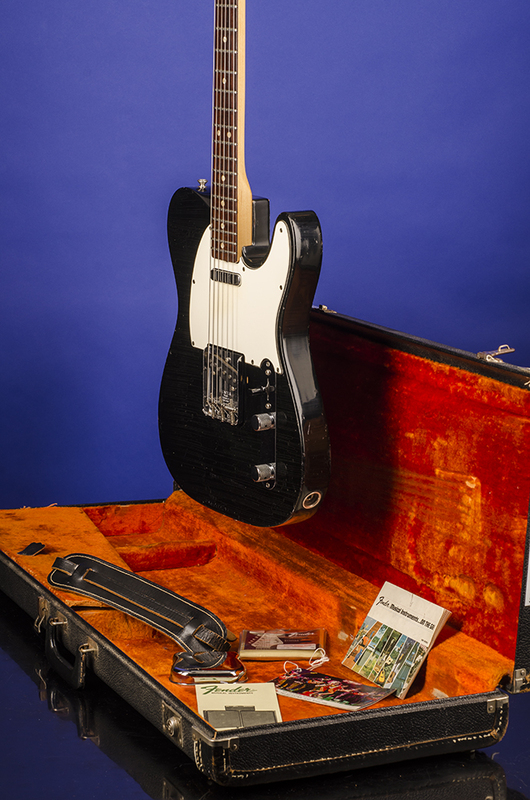 The Fender Telecaster, p.52). 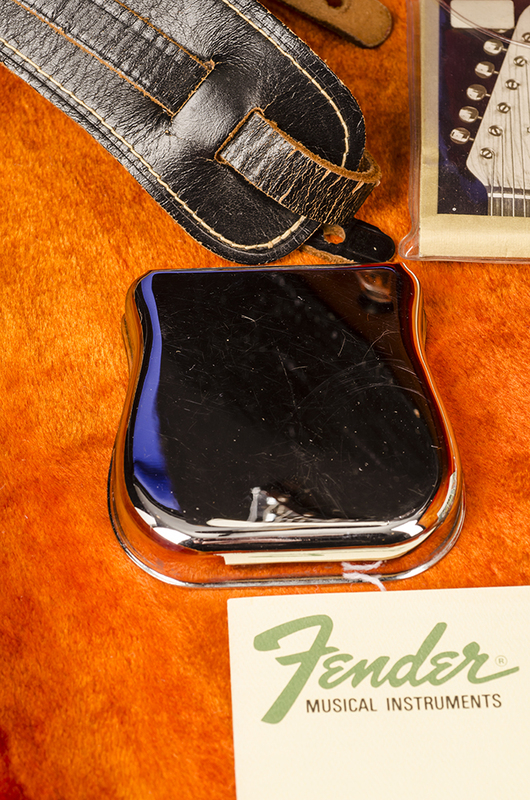 Black is one of the automotive industry Fender custom colors and was used on Fender guitars from 1960-1972.